A non- resident Indian has offered 101 bottles of Old Monk rum to the temple deity in Kerala. And the deity here is Duryodhana. The belief is that Duryodhana once visited this place and was offered toddy to quench his thirst. Kollam: We have seen people offering flowers, clothes and even milk to the deity in temples. But in this Duryodhana temple in Kollam, Kerala, devotees offer liquor. A non- resident Indian has offered 101 bottles of Old Monk rum. 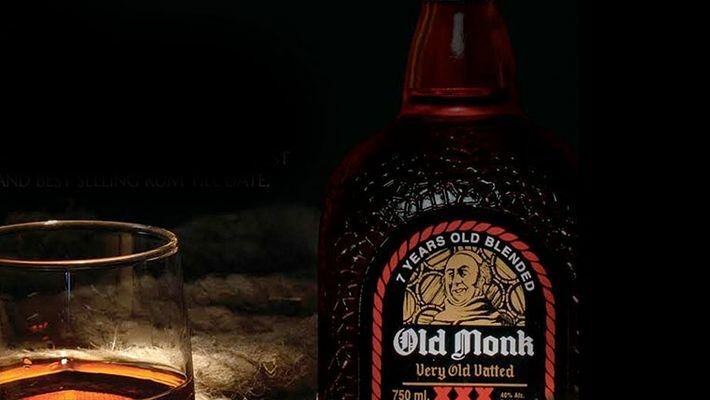 The picture of the Old Monk rum bottles in front of the temple has turned viral on social media attracting many Old Monk lovers. The deity in this temple is Duryodhana, a mythical character in the epic Mahabharata. According to the devotee, 101 bottles were offered for the all the members of the Kaurava family, starting from Duryodhana to Dushala, the main characters of Mahabharata. Liquor has been considered as a main offering for the deity affectionately called 'Malayappooppan'. It is believed that years ago, Duryodhana once came to this Malanada village to trace the Pandavas, who were in exile. As he was thirsty, he approached a woman and requested for some water. The woman, without identifying the man, is said to have offered toddy instead of water to Duryodhana. The temple follows the custom in accordance with this myth. Kollam native Hareesh said to MyNation, "The temple even now pays the land tax in the name of the deity Duryodhana." He added that earlier, arrack was also offered to the deity, but due to its ban, only toddy and foreign liquor are allowed in the temple. "Not only liquor, but chicken, goat, paan and silk clothes are also offered in this temple," said Radhamani, a Kollam native. Similarly, liquor and fish are offered in the Parassinikkadavu Muttappan temple, Kannur, in Kerala too. Sreedharan said, "While abhishekas in other temples may be performed with milk, curd, honey and water, here, it is done with liquor. Earlier, only toddy was used, but over the years, devotees have been bringing liquor. It's not just that, liquor is used as prasadam as well." That apart, dogs too are regularly brought by devotees as offerings.